If you’re a fan of the special limited PE of the Under Armour Curry One Low for Steph’s SC30 Select basketball camp and don’t happen to be one of the nation’s 30 top high school point guards, there’s some good news. 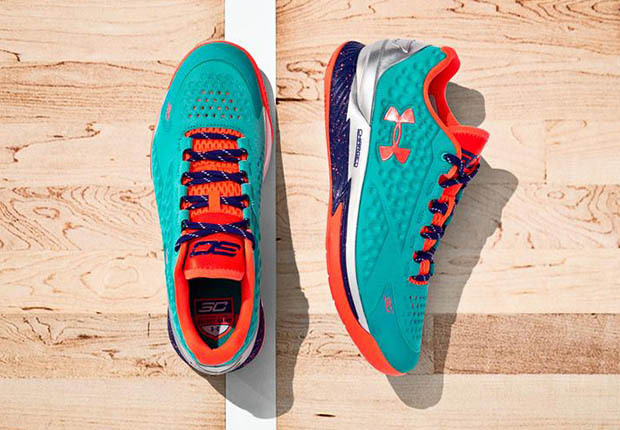 Now you have a chance to own a pair, because the teal, purple and orange special edition of the low-top version of Steph’s first signature shoe will be available at Foot Locker. There’s a catch though, they’ll only be at one Foot Locker: the location within the Serramonte mall in Daly City, CA. Take another look at the highly limited Curry One, and get a hold of your Bay Area connect if you need a pair. The Under Armour Curry One Low “SC30 Select Camp” releases this Saturday, July 11th.